Boasting a unique and pretty design, the Campomaggi studded western round bag is the perfect addition to your bag collection. Lovingly crafted in Italy from premium cowhide, this stylish bag features two top handles, a zip fastening, removable and adjustable shoulder strap and two internal pockets. 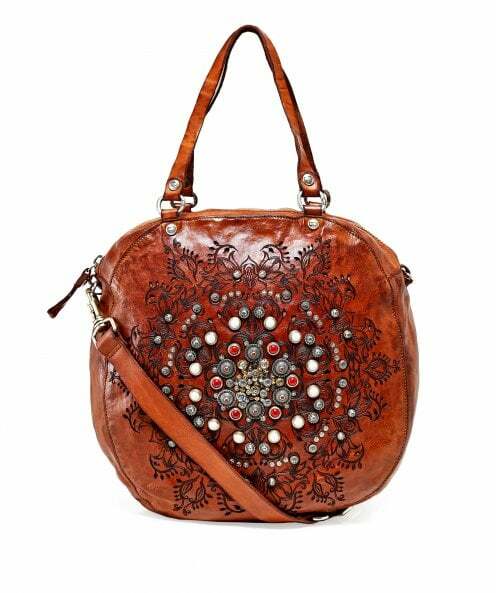 Complete with intricate gemstone embellishment as well as laser cut details to the front, this bag has a beautiful finish and will complement any casual ensemble.